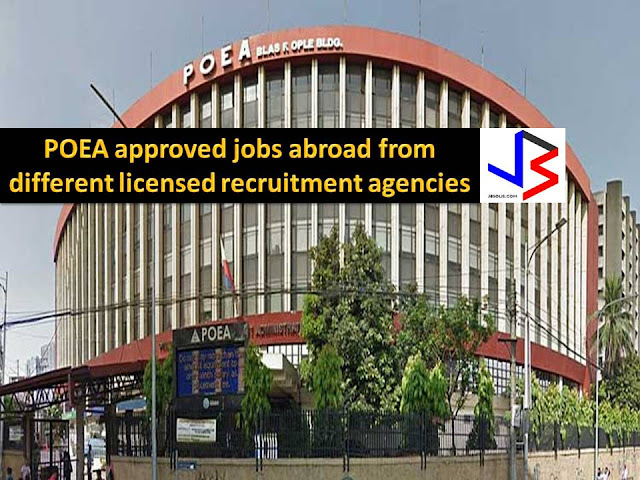 Working abroad is a hard decision, so make sure you are dealing with a licensed recruitment agency from Philippine Overseas Employment Administration (POEA). Stories of recruitment scam are not new nowadays therefore as an applicant for a job abroad it is important that we know the status and history of recruitment agencies we are applying. 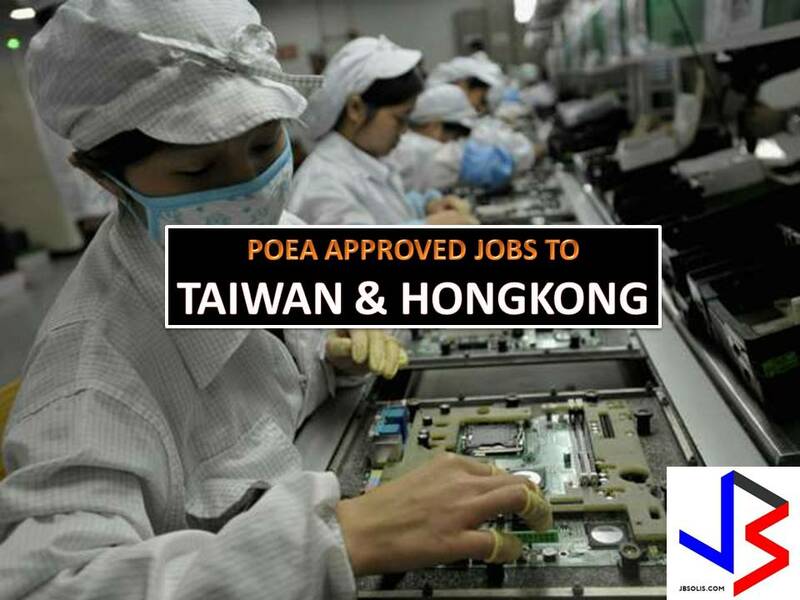 In this post, we feature 18 top POEA's agency in terms of a number of jobs deployment abroad as of June 2017 and also their respective job orders for this month. Please be reminded that this website is not affiliated in any of the following recruitment agencies and the purpose of this article is for general information only. Interested applicants are advised to directly contact the recruitment agencies since their information is also included in this article. Agency: CPM MANPOWER SERVICES, INC.
Agency: CORETEAM MANPOWER SERVICES, INC.
Agency: BUSINESSWISE INTERNATIONAL RESOURCES, INC.
Agency: BOBSTAR INTL. RECRUITMENT AGENCY INC.